Limus denies sponsoring candidate to challenge Tangau for Upko presidency | Daily Express Online, Sabah, Malaysia. Kuala Penyu: Beaufort Upko chief Datuk Limus Jury denied sponsoring a candidate to challenge acting party president Datuk Seri Wilfred Madius Tangau for the party president post.He said all the talks about him trying to play dirty were malicious and slanderous with the intention of breaking unity among party members. "People have claimed that I've sponsored a candidate to challenge our president. Obviously, this is not true. It's been made up to split us up," he said when speaking at the divisional triennial meeting here, Monday. Limus said there is no way he could have paid money to someone to stand in Tangau's way for he himself had proposed for the president post to be left uncontested. He said he also endorsed Tangau to lead the party. 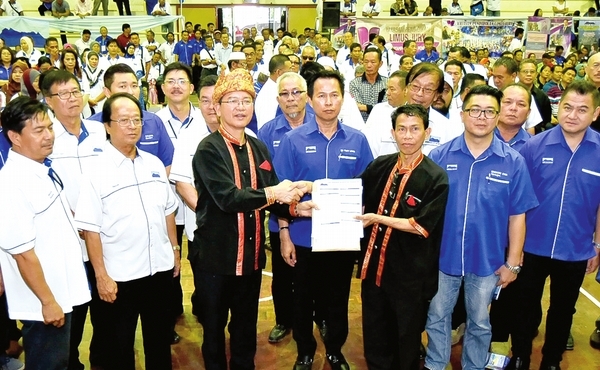 Limus, who is vying for Upko vice president post, pledged he would always be behind Tangau to ensure that the party stays relevant in Sabah's politics.